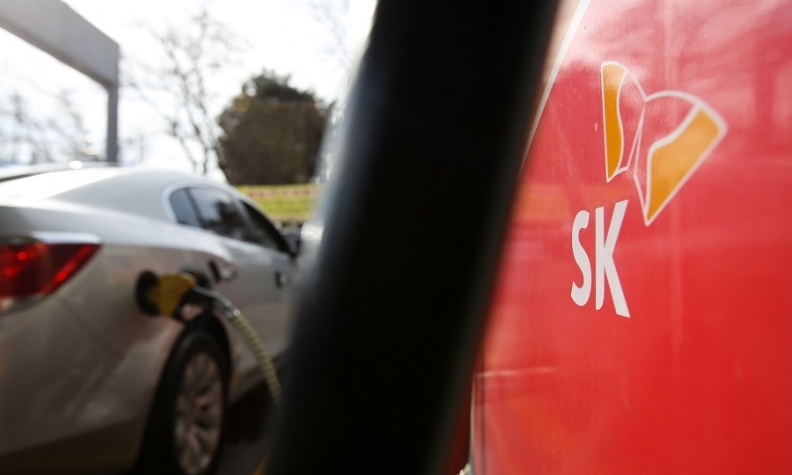 SEOUL -- SK Innovation is in talks to set up separate battery-making joint ventures with Volkswagen and Chinese partners, as the South Korean petrochemicals producer aggressively expands its involvement in electric vehicles. The company confirmed talks with Volkswagen for the first time, saying the two companies were discussing building a factory together. The JV would be the first in which Volkswagen will be co-investing in battery production, similar to the joint battery investment of Panasonic and U.S. EV maker Tesla, analysts said. "We are considering an investment in a battery manufacturer in order to reinforce our electrification offensive and build up the necessary know-how," Volkswagen said in a statement to Reuters. In March, Volkswagen CEO Herbert Diess said the automaker was "taking a close look at possible participation in battery cell manufacturing facilities in Europe of our own." Volkswagen's other suppliers include LG Chem, Samsung SDI and China's Contemporary Amperex Technology. SK also said it was on the cusp of agreeing to build a plant in China with undisclosed partners. The talks come as EV battery makers boost capacity to cope with fast-growing demand, as automakers race to develop vehicles powered by means other than gasoline to meet increasingly stringent emissions regulations worldwide. SK Innovation, South Korea's biggest oil refiner, is a latecomer to a market led by compatriots LG Chem and Samsung SDI, and Japan's Panasonic. Since starting mass production in 2012, customers have included Daimler as well as Volkswagen. "Compared with rivals, we have been matching or exceeding investment in the area since last year," YS Yoon, president of SK Innovation's battery business, said in an interview. "We tried to find the right moment for massive investment." The broader SK Group, South Korea's third-biggest conglomerate, has increased focus on EV batteries as demand slows at memory chip-making unit SK Hynix. By 2022, SK Innovation plans to spend 4.51 trillion won ($3.95 billion) to boost EV battery capacity. Last month, it broke ground on a $1.7 billion plant in the United States to primarily supply lithium ion battery cells to Volkswagen. It is also building two factories in Hungary. "Our strategy is to keep up with technological advancement by having relationships with some of our key customers," Yoon said, adding that "nothing has been decided" regarding a JV with Volkswagen. "There are so many battery requirements from Volkswagen," Yoon said. "So I think it is natural for Volkswagen to have multiple suppliers even if it has joint ventures with some." The company broke ground in August on its first Chinese plant under a joint venture with Beijing Electronics Holding and BAIC Motor, with investment reaching 5 billion yuan ($744.30 million) by 2020. "We hope China's market opens up in 2021" when the subsidies are phased out, Jay Rhee, SK Innovation's head of battery research and development, said in a separate interview. Meanwhile, SK Innovation is in the industry-wide race to reduce batteries' cobalt content, with Panasonic in May saying it was working on a cobalt-free battery. The mineral is mined in harsh conditions and subject to significant price fluctuation. The company plans to start production of batteries containing 5 percent cobalt in 2022 from 10 percent at present, Rhee said. "I expect we won't need to secure fresh cobalt after 2025," Yoon said.